Lawana Alzada Atwood Draper (Peterson) passed away quietly on April 14, 2019, surrounded by her family. She was 88. 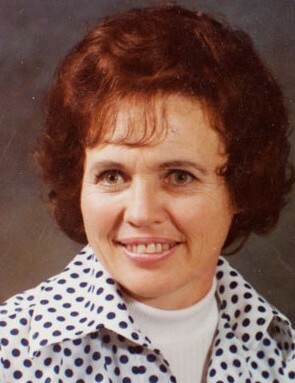 Lawana was born in Roosevelt, Utah on December 20, 1930 to Luella and Ward Atwood and was the fifth of seven children. She attended Jordan High School, and after graduation married the love of her life, Parry D. Draper. Lawana and Parry had five children, Leon (Debbie), Tad (Chris), Tawnie (Gary Johnson), Tylan (Lisa) and Randon (Anne) Draper, all of which survived her, along with 22 grandchildren and 16 great grandchildren. When Parry predeceased her, she became a medical assistant and worked in pediatrics. She was later married to Blair Peterson until he passed. Lawana’s life was a memorial to sacrifice, love and courage. Few people will know of her trials or her strength as she forged a safe and loving path for her children, and broke chains and barriers for their success. She was a “participant” in life. She will ever be known for her fun-loving spirit and contagious smile. Throughout her life she remained active and energized with her family, her faith in the Church of Jesus Christ and in social activities, even despite cancer and failing health later in life. She never complained, never gave up nor stopped loving. She was also predeceased by her siblings, Kenneth, Jane and Olive and survived by Donna, Margret, and Nola. Funeral services will be held at 10:00 a.m. on Saturday, April 20, 2019 at the Midvale East 4th Ward, 87 East 7100 South. Viewings will be held from 6-8 p.m. on Friday evening at Goff Mortuary, 8090 S. State Street and from 9:00 – 9:30 prior to the services, at the church. Interment at Lake Hills Cemetery. The family wishes to thank the community at Canyon Creek, and Hospice.